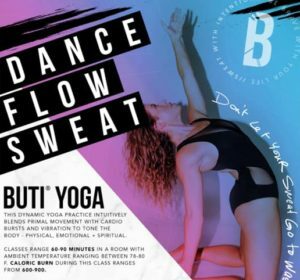 Come try out BUTI Yoga in this one time event. This isn’t your typical yoga class, it’s a fun mix of cardio strength and flexibility all in one fun workout! Come join Meg and try something new!